and I just thought to myself how lucky am I to be a Whyalla Wedding Photographer! and Kirsty still had alot to do, their love for one another shone through. One of the first things I noticed was Kirstys’ lovely finger nails, they were just so beautiful. Saturday came around and it was the wedding day. I got to work straight away on all the details. It was so special to have all of the children included in the wedding. The maid of honour, Jodie did such an amazing job helping throughout the day. Thank you. The ceremony was held on the lawn area down near the beach, with red carpet leading down the isle. After the ceremony and family photos were completed we had 25 mins to rock out the formal photos. We took a few in the park, before taking photos with the cars then heading over to Ada Ryan Gardens. I hope your wedding day was everything you dreamed of it being. 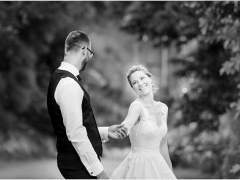 Enjoy this Whyalla wedding photography provided by Jade Norwood Photography offering Whyalla wedding photography in the Whyalla area and across South Australia. 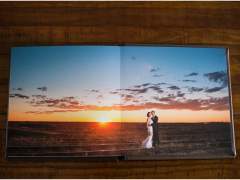 Jade Norwood Photography is anything but your average Whyalla wedding photographer. Each wedding is treated with care and creativity not found with other Whyalla wedding photography studios. Your wedding day is carefully crafted to offer one of a kind unique photography in south australia. This is Whyalla wedding photography at its best. Jade Norwood Photography is a South Australian photographer based in Ceduna and the Adelaide area. Offering wedding coverage in Adelaide, Barossa, Clare, Pt Lincoln, Ceduna, Whyalla, Port Augusta, South Australia and would love to travel for destination weddings worldwide, this wedding photographer is such a talented photographer located right here in Adelaide. 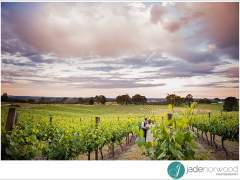 Jade Norwood Photography offers Whaylla wedding photography coverage in the Whyalla area, including but not limited to, Port Augusta,Whyalla, Adelaide, Adelaide hills, Barossa, Clare, Pt Lincoln, Ceduna, and the surrounding areas. Not looking for an Whyalla wedding photographer? Please be sure to consider Jade for all of your family photography needs in Whyalla, Adelaide, Ceduna and across South Australia.